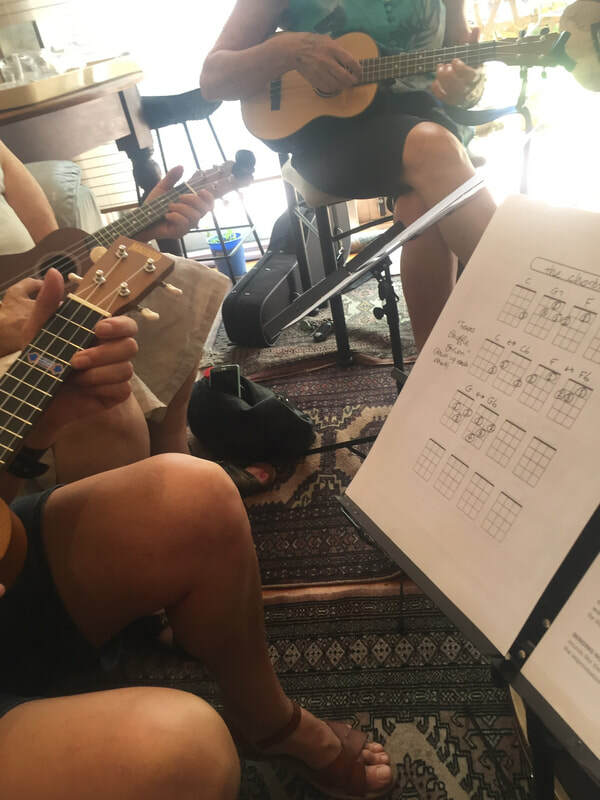 Multi instrumentalist David is experienced in running ukulele, guitar, bass and harmonica workshops at festivals, music camps, galleries, hotels and in his home studio Sycamore Music Room in Caulfield South. David's workshops contain a mixture of demonstrations and group participation. He tailors his workshops to suit different age groups, ability levels and music genres. Workshops can be a ‘one-off’ or a series of workshops over a number of weeks. Genres: blues, jazz, folk, pop’n’rock, Gypsy jazz, French and klezmer. Areas covered: strums, finger picking, improvisation, arranging the tune. David has a Working with Children card and Public Liability insurance. 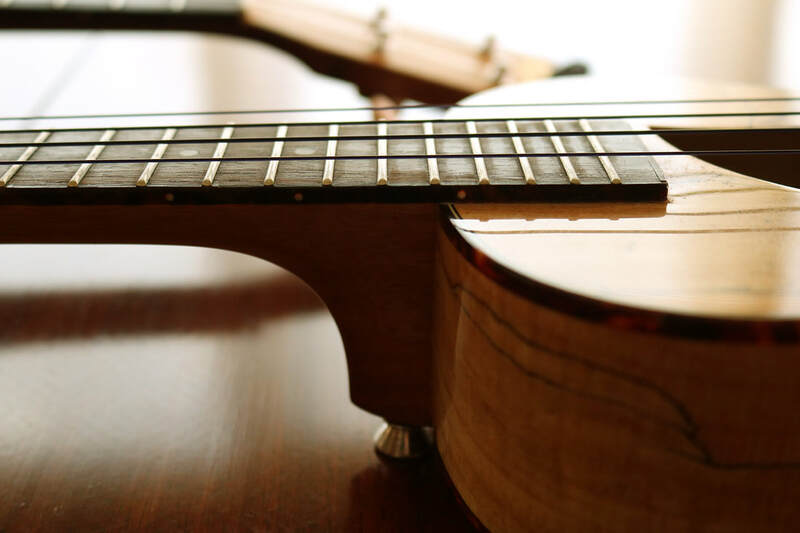 David teaches and performs many genres in his wide and varied career including jazz, blues, klezmer, gypsy jazz, French chanson, rock and bluegrass on ukulele, guitar, bass and harmonica. 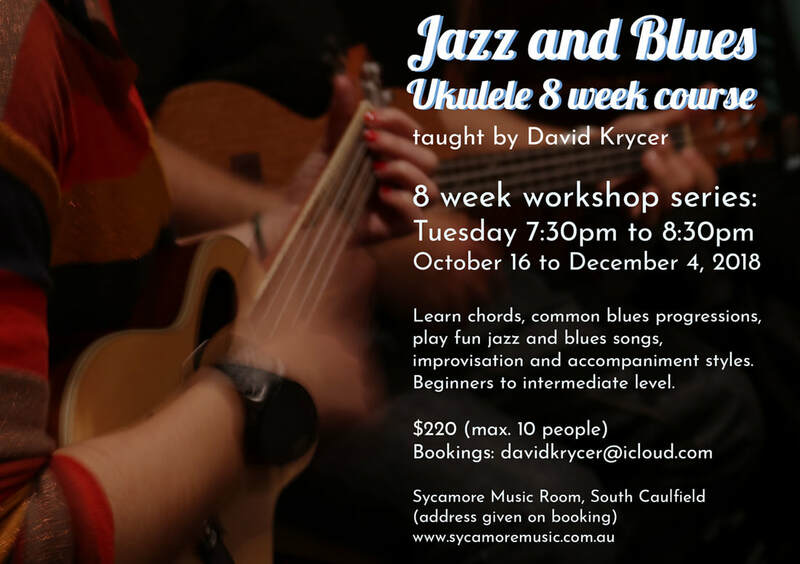 An experienced teacher at schools (including VCE), universities and at his home studio in Caulfield South: Sycamore Music Room, David has a passion for music education and inspiring students of all ages. He teaches children from primary school to adults in all ability and skill levels from beginner to advanced. He has a fun, flexible approach to teaching and pays close attention to the needs of individual students. He encourages students to perform with others. "Dear David, I want to thank you for the help with my year 12 music class as my creative intellect was greatly amplified by your influence and at the end of the year I was able to present something that managed to wow! at the very least. Jamming with you was sweet as too! "Hi David, Just a note to thank you for W’s lesson yesterday, He LOVED it!!! "Thanks for a really great year! I can’t wait to continue guitar next year! T.P." "Thanks for teaching me bass and doing ensemble and stuff.